Availability:: Out of Print - New Edition Coming Soon! This is the only book published on restoring the M38. Ryan Miller does a great job of telling the story of the M38, from its roots in the WW2 G503 "jeep" to its service life. 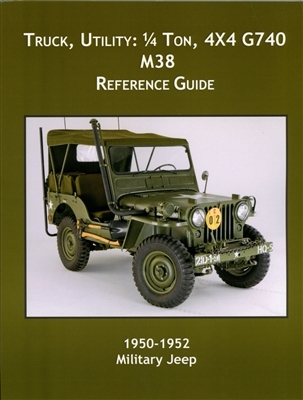 Over 800 photographs of jeeps and parts will help you identify correct parts for your M38 project. This book was literally a labor of love which began as Ryan documented his own M38 restoration and began sharing it with friends.